December has finally arrived and it’s time to wave ’bye to stress, and get ready to enjoy spun-out stretches of time that is all yours. While some have plans to travel to fancy resorts along the coast, others are choosing to enjoy their holiday at home and skip the inconvenience (and cost) of a traditional vacation. Here, 10and5 presents you with our ultimate guide to savoring your time away from the office in the biggest city in South Africa — Johannesburg. For an amazing off-the-radar spot to see art in Joburg, pay a visit to the Johannesburg Art Gallery, often referred to as JAG. 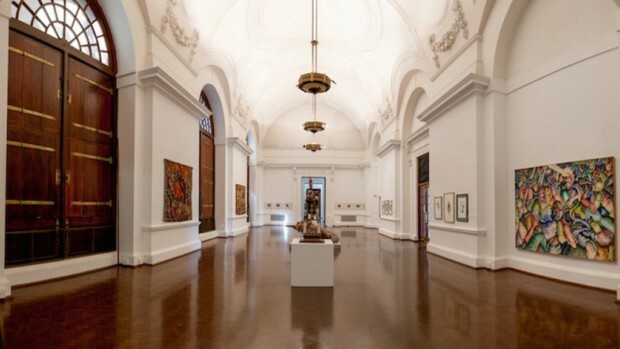 The gallery — located in Joubert Park — has just launched its summer exhibition and is the biggest museum on the subcontinent, housing an impressive collection of more than 9 000 historic and contemporary works. Who needs the ocean when you’ve got an olympic-sized swimming pool? Relax by the water’s edge at the biggest public pool facility in Joburg, located in the inner city suburb of Doornfontein. Ellis Park Swimming Pool is open from early in the morning until 7pm during the week, and 5pm over the weekend. Find your center and stretch out under the sun at alfresco yoga class. 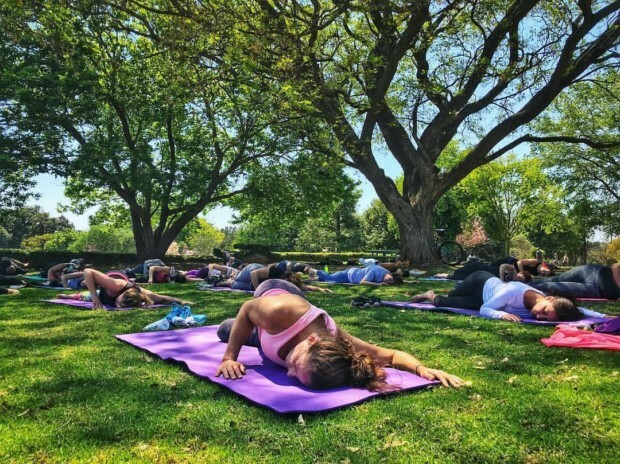 For R100 per two-hour session, Yoga Works teaches Vinyasa Flow style of Yoga at Delta Park on Saturdays and Emmarentia Botanical Gardens on Sunday. 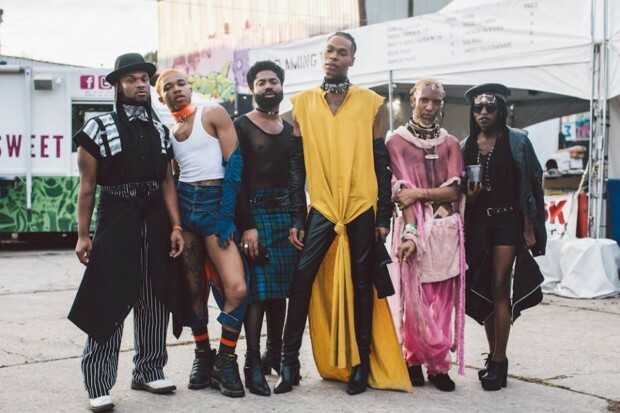 The Afropunk Festival is an annual arts festival founded in 2005 in Brooklyn New York City and has since become a global movement. This year the event known for its celebration of black artists is closing out 2017 at Constitution Hill in Johannesburg. The stellar line up will include Solange, Anderson Paak and Laura Mvula plus local acts BLK JKS, Black Motion and Spoek Mathambo, to name a few. With the tagline, “Helping women one period at a time, sanitary drive,” this empowering one-day festival takes place on 9 December at Lesedi Shopping Centre in Vosloorus. And aims to promote the power of women in unity. Here you can pack a cooler box and picnic basket and enjoy the summertime vibes with your friends. 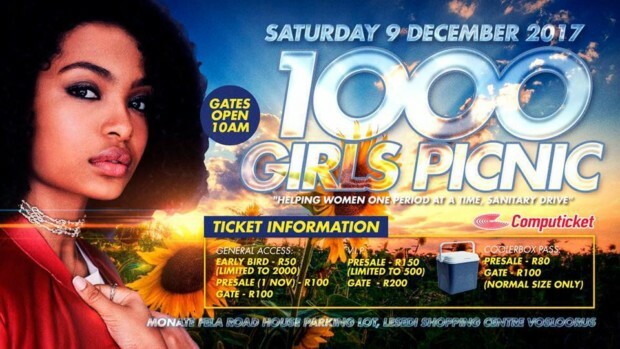 A portion of the event’s ticket proceeds will go towards purchasing sanitary products for women in need. Purchase your tickets at Computicket. Al Lado is a new cocktail and tapas bar with just a touch of the speakeasy about it. 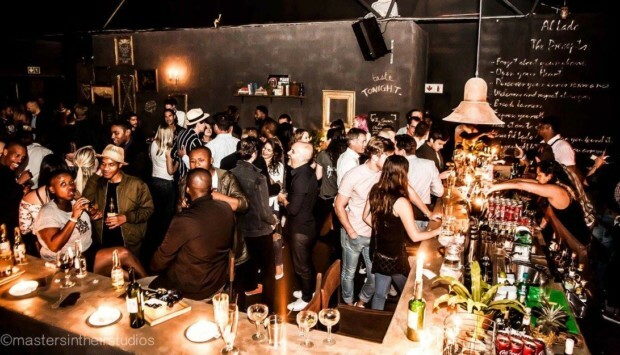 Situated in the Maboneng Precinct, their menu offers authentic Spanish and South American tapas-style dishes. Al Lado is also a great hangout for music lovers, frequently hosting top DJs. 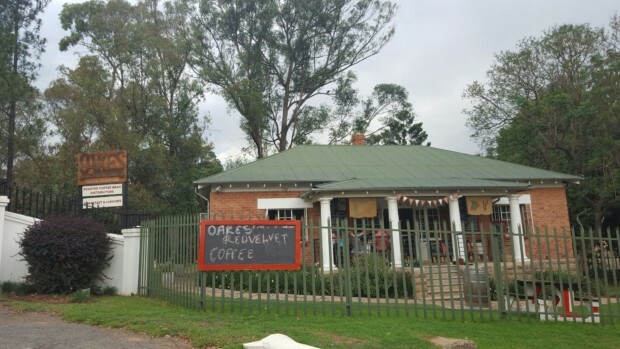 Oakes Brew House is a womxn-owned brewery and coffee roastery in Modderfontein, which offers great tasting home brewed, hand crafted beer and a full range of coffees. The brewery is close by to Modderfontein’s nature reserve and its name in fact stems from and is inspired by the beautiful oak trees that populate the area. For the ultimate staycation, why not pack an overnight bag and visit Lebo’s Backpackers Lodge in Orlando West. Here you can mingle with the locals and tourists, go on a bike tour and generally give yourself the R&R you know you deserve. The hostel offers dormitories and private rooms. 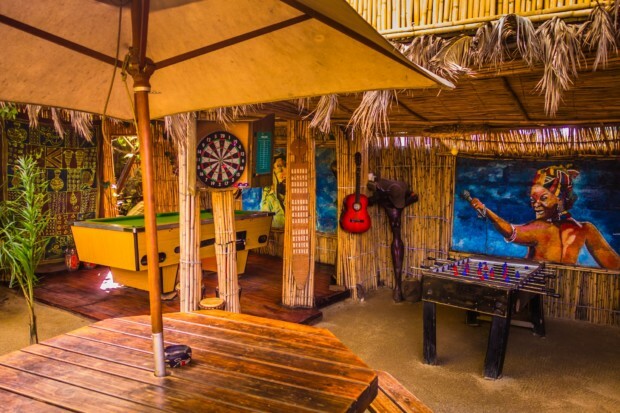 You can also pitch a tent or or stay in their tree-house built with thatched grass and bamboo. Located in Brixton, The Roving Bantu Kitchen serves as a restaurant, meeting place and events venue all in one. 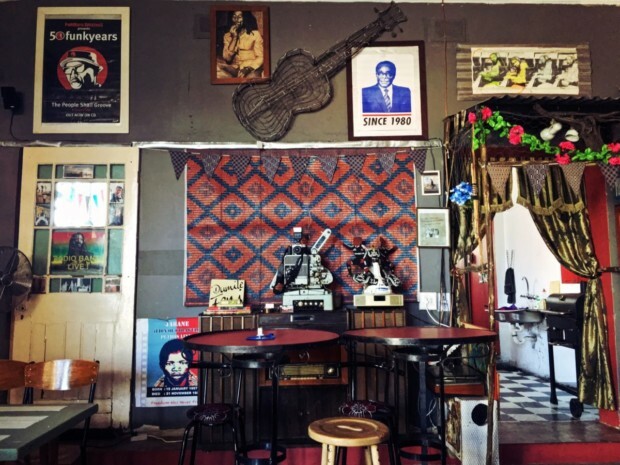 The space often hosts special events such as jazz concerts and soul food dinners cooked up by owner and long-time Brixton resident, Sifiso Ntuli. First licensed in 1939, The Troyeville Hotel’s restaurant has been a famous dining destination in Joburg for decades. 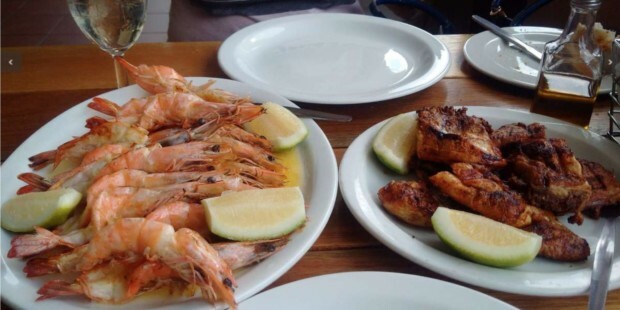 Their menu serves simple, award-winning Portuguese and Mozambican cuisine, while the hotel offers an unpretentious and cosy atmosphere. Why wouldn’t you want to be here?